2/17/2015 Update: Information about our e-book appears at the bottom of page—and that ebook has been updated to reflect Revenue Procedure 2015-20. You can get more information on the new revenue procedure here. Probably every accountant in our firm is nervous about me doing this. But due to a number of requests from fellow CPAs, I’m going to share our approach for complying with the IRS’s requirement that taxpayers request permission to change their accounting method to comply with the new Sec. 263 and Sec. 162 Tangible Property Regs. To request permission to change your accounting for repairs and maintenance expenditures, you fill out a 10-page 3115 form. You then print two copies, filing one with your tax return and one with the Internal Revenue Service Center in Ogden Utah. I know what you’re thinking. Why do they need two copies? Good question. But now that we’re into this, I may as well mention that you probably won’t file one 3115 form. You’ll probably need to file more than one. We’re finding most of our clients need to file at least a “code 184” 3115 to request permission to change the way that repair and maintenance expenditures are handled and also to change the capitalization procedures for tangible property improvements, for example. And then we’re also finding that most clients also need to also file a “code 192” 3115 to request permission to change the way that asset acquisition and production costs are capitalized. You or your clients may have other Form 3115s to file, too. And some tax accountants think the requirement to request an accounting method change is so absurd as to not merit any response (other than maybe a letter to one’s elected representatives). I get all that. Emotionally, I am right there with those people. But I think you have two strong reasons to prepare and file 3115s with your 2014 tax return. First reason: The IRS expects 3115s, and as a result, many CPAs think that returns without a 3115 or two, since they’re obviously incomplete, should bear more audit risk. A second reason: This year, you automatically get permission to change your accounting method. In other words, for 2014, a quick and easy automatic consent should occur. If you dilly dally and want to deal with this stuff later on, things may not go so smoothly. In worst case scenarios, you could lose deductions because you botched the accounting method change. And you could face expensive fees for making the change late. If you’re a CPA or enrolled agent preparing the 3115 form, you should read the roughly 100-pp of regulations (see here for the Sec. 1.263 regs for example). That’s really the obvious first step. You may also want to read TD 9636 and TD 9689. And if you really want to dig into the nitty gritty details, check out Rev. Proc. 2014-16, Rev. Proc. 2014-17 and Rev. Proc. 2014-54. Beyond that—and now we get down to brass tacks—I would suggest you prepare a few 3115s to see that the process doesn’t have to take that long. Pretty straight forward, right? I think so. Note that within Part II you answer questions that require additional statements. For example, you’ll need to describe what item you’ll be handling differently—for example, “repairs and maintenance expenses.” And you need to describe your old method and your new method. Cost of incidental repairs which neither materially add to the value of a property nor appreciably prolong its life, but keep a property in an ordinarily efficient operating condition, are deducted per former Treas. Reg. § 1.162-4. Repairs in the nature of replacements, to the extent that they arrest deterioration and appreciably prolong the life of a property, are capitalized per former Treas. Reg. § 1.162-4. Deducting repairs costs in accordance with Treas. Reg. § 1.162-4. Deducting routine maintenance costs which fall under the new safe harbor rules for routine maintenance described in Treas. Reg. § 1.263(a)-3(i). Deducting costs for repairs, maintenance, improvements, and similar activities performed on eligible buildings when such treatment is permissible under the new safe harbor rules for small taxpayers described in Treas. Reg. § 1.263(a)-3(h). Adopting the new capitalization rules for improving tangible property described in Treas. Reg. § 1.263(a)–3, except in such circumstances where the costs may be treated under the rules described in Treas. Reg. § 1.263(a)-3(h) (safe harbor for small taxpayers). Change to capitalizing costs for betterments, improvements, and restoration costs when such costs do not fall under the safe harbor for small taxpayers [§ 1.263(a)–3]. Change to deducting certain costs for building property when such treatment is permissible under the safe harbor for small taxpayers [§ 1.263(a)-3(h)]. Again, this is all sort of irritating to have to do. But the work is mostly repetitive and copy and paste. And if there’s anything “good” about this 3115 stuff for the CPAs, it’s this: You should be able to have a staff accountant do most of the work. One final point to make is this: While often an accounting method change requires a “catchup” adjustment to make sure that income and expenses are not double-counted or and to make sure that no income or deduction item is omitted, we think in many cases, small businesses won’t have to calculate one of these adjustments. Here’s why: For years now, many small businesses have been using a combination of bonus depreciation and Sec. 179 elections to expense assets. This combination means that stuff doesn’t get capitalized. But you know what? Probably best to get up to speed on this tax law change and try to comply as best you can. Would You Like More Information and Example 3115s? However if you have taxpayers that need to file 3115s in response to the TPRs–perhaps to deal with late partial dispositions for example–you may interested in our ebook on the subject. After originally writing this blog post, our CPA firm offices received requests from dozens of CPAs, EAs and small tax accounting firms to provide more detailed information about the preparation of Form 3115 for small businesses and real estate investors. Accordingly, we’ve prepared a short, 60pp e-book. This downloadable e-book explains how the new regulations change the way small taxpayers need to do their accounting for tangible property deductions and then outlines an approach to complying with new regulations with a minimum amount of fuss and handwringing. And an important note: We’re providing a money-back guarantee… if you don’t find our e-book saves you several hours of time and lets you easily prepare 3115s (for which you should be able to charge some multiple of the price you pay for the book) just email us and ask for a refund. Typical government…Use an elephant to kill an ant. There are NO examples and there is NO reason that it took ten years to write,,,except No one understands it. Depreciation is a simple concept: Buy an asset to use in your business and depreciate it (the cost) over a period. $10,000 over 5 years, $2000 a year. BUT NO: Uncle thinks that it should be spread over 39, 31, 25, 10 7, years,,or accelerate it using an inverted fraction…. RESULT: Confusing, complicated, and it takes 600 pages to explain. Thanks for this well defined definition of what has to be completed. Do you know where a filled in sample 3115 form can be found? It seems no 2 tax preparers can agree on what exactly needs to be filed, attached, and computed. Tony, I think you’re right that this is perplexing. BTW I don’t know of any example completed forms… maybe we’ll try to see if we can’t add that. As far as the questions that need to be answered, I think we’re following instructions with our simple example… but you need to consider specifics of your situation. FYI, we use Lacerte so we get a pretty good set of diagnostics. Hello, thanks so much for this supplement information for question 12 on page 3. Just wondering, shouldn’t the questions answered in your paragraph be Parts I, II and part 4 only? I am trying to get around theory, around quoting code sections, around repeating the same language, that is unclear. 1 – 1040 with no Real Estate, but Sch C/EBE/UPE for depr on Office Equipment and Automobiles. Would the answer change if they had been using a de minimus figure greater than $500, like $1,000 or $1,500? 2 – Same with LLC and S-corp where no real estate but business expenses for equipment, furniture and the like? 3 – 1040 with 1 or 2 rental property units. Does it make a difference if going back X number of years they, lets say expensed an asset, when under the new rules they should have capitalized it? 4 – 1040 with more than 2 or 3 rental units. 5 – LLC with rental property. If you cannot state in advance what sections would pertain, then is there a clear guide on how to find this information. So if #1 is yes, then everyone is going to have to file 3115. I think the $200 limit for M&S is a non-issue as it only pertains to inventoried, or non-incidental M&S. I.e., in every case you mention, if you’ve been buying and expensing tangible property (including supplies) or paying repairs expenses earlier than 2013, yes, you need to file 3115 forms. Many of us (hey, me included!) think this sounds so absurd that it seems implausible. But here we maybe let our emotions override Sec. 446 which says in a nutshell that you need to get any accounting method changes approved. Even if you’re changing to comply with the law, even if the change triggers no Sec. 481 adjustment. 2. taxpayers who started their businesses in 2013 and 2014 and have “always” used the new TPRs. Your 3115 Repair Regs book is fantastic! Thanks for saving me countless hours of grief. Thank you for compliments Mark. What if a Sch C has always taken a 179 deduction for personal property? I’m not seeing how anything has changed. So we just looked in our practice as a return sort of like this… a very small Schedule C filer with only revenue and no expenses. In this specific case–note that no tangible property has ever been purchased–no accounting method (proper or improper) has been established. So logically you don’t have an accounting method you need to change nor a change you need to get approval for. However, I would note that many small businesses who’ve used Sec. 179 to expense everything will have purchased other tangible property. One other comment: As a tax return preparer, I would tend to make this the client’s choice. Ask them if they’ve been dealing with tangible property and if they want to play safe or not. Steve, from what I understand multiple method changes can be made on one 3115 form, do you agree with this? The IRS Commissioner stated in December at an AICPA conference that they will accept 3115 forms with no 481 a adjustments from entities with less than 10 million in annual sales. I agree. I also think this probably also depends on your tax software. We use Lacerte and it seems to kick out a 3115 for every accounting change code. But maybe we haven’t done enough 3115s to see when and where it combines. Steve – thanks for sharing this ebook at such a fair price. Do you plan on enhancing it to include a sample 3115 for changes in UOP? We apparently need to file one for most clients. I don’t know if my struggle to come up with a description of the change is because it’s so easy….. or if it’s because it’s so difficult. Hmmm. I guess we’re thinking we will not for our small business clients and real estate investors need to do a UOP accounting method change to deal with improvements. I have a sneaking suspicion, though, that our client profile leads us to this conclusion. We tend to serve taxpayers who are usually buying fixed assets they can immediately expense using Sec. 179. Lots of service businesses. Your situation might be very different if you’re serving real estate companies or firms with have capital investments and limited ability to Sec. 179 stuff. I just purchased the e-book and have a question about all the samples. I was under the impression you could combine change # 184-193 on one Form 3115. If that is the case and change # 184, 186 and 192 apply, do I add separate statements for each change on one Form 3115. Also, can you clarify the difference between change #186 and 187? Don’t most taxpayers already account for incidental materials and supplies and expense when purchased, so therefore that change would not be necessary? I think you can combine some change requests (refer to the Rev. Proc. for details). But we did them in separate appendixes in the book because (a) that’s the way Lacerte handled it and (b) because we need to do examples that work for everybody who wants to work from the book. For detailed questions, by the way, I would urge you to refer to either the regs (if you’re looking for info on how to handle accounting for tangible property) or refer to the Rev. Proc. (if you’re looking for info on how to prepare the 3115 for situations other than the rather “standard” examples the e-book provides). So the whole point is to focus on materiality? Or is the focus on the word component? Just to clear up one disconnect, the free accounting policy you can download from the blog is actually a subset of the accounting policy that comes as appendix E in the ebook. And to address the significance of the word “improve” in the sentence you reference… you make a good point. I guess we thought the expansive language okay given fact that some things that might not fit squarely into “maintain” or “repair” category might if immaterial enough (so actually in nature of a very modest “improve”) still be appropriate to expense. I would conclude by saying a practitioner may want to tweak this statement for their situation. Great book – exactly what I was looking for! of accounting method change being requested. Does depreciation need to be checked, or something under “Other?” It seems like this box is supposed to be filled out. “(b) Reduced Filing Requirement for Small Taxpayers. Check the appropriate box described below indicating the type of change being requested. •	Depreciation or amortization. Check this box for a change in (a) depreciation or amortization (for example, the depreciation method or recovery period), (b) the treatment of salvage proceeds or costs of removal, (c) the method of accounting for retirements of depreciable property, or (d) the treatment of depreciable property from a single asset account to a multiple asset account (pooling), or vice versa). •	Financial products and/or financial activities of financial institutions. Check this box for a change in the treatment of a financial product (for example, accounting for debt instruments, derivatives, mark-to-market accounting, etc. ), or in the financial activities of a financial institution (for example, a lending institution, a regulated investment company, a real estate investment trust, a real estate mortgage investment conduit, etc.)). So I think the answer is, it depends on your situation. Hope this helps! Thanks Steve! I am aware of those requirements, however as the check box for accounting change is above Part 1 I thought it is included in the “Identification Section” and must be filled out. Is this not correct? For taxpayers making no 481(a) adjustments and filing these to be safe (ex. I am a landlord with under 10 properties) would the “Depreciation” Box make the most sense in filing for the 184 and 186 changes? Or is it best not to check one of those boxes? Sorry – additionaly, do you think it’s a good idea to file regs 184, 186 and 192 for businesses and landllords? They are filed with separate 3115 forms, not combined, right? 1. The regs were poorly written and create a big burden for small businesses and real estate investors–but you have to simply get over this. It’s irrelevant to your decision about whether or not to file 3115s. 2. If your client operated a business or owned rental property before 2013–when the regs for tangible property were different–the client needs to change their accounting to comply with the new rules. 3. If a taxpayer changes his or her accounting–even if the law is dumb and even if there’s no catchup Sec. 481 adjustment–you should still file a 3115 or two… or even more. 5. Clearly these “incomplete” returns will have some minor additional audit risk due to their incompleteness… though for any individual taxpayer, the risk is very small. 6. A taxpayer who really doesn’t want to be audited should ante up and do their return right. 7. Another bigger risk here gets laid on the tax practitioner who, by virtue of their signatures on hundreds of returns, is much more likely to have the incompleteness discovered. 8. A tax practitioner who really doesn’t want to prepare and file incomplete returns should do their returns right. In our practice, by the way, we’re doing 3115s for basically everybody who was in business or owned rental property before 2013. We’re not turning in gold plated masterpieces though. We’re simply trying to do respectable jobs that honor the spirit of the regulations. And oh by the way we’re charging a modest fee based on an hour of staff accountant time and half an hour of partner time. My CPA friend–and again note he’s a smart guy–has decided to not automatically file 3115s for his small business clients or real estate investors. He acknowledges the returns will be incomplete. But his clients won’t pay for the extra work. And he believes the risk to both the client and to him are very low given there is probably no Sec. 481 adjustment. Enough said. Sorry for the long answer. According to the Rev Proc Schedule E of Form 3115 is to be completed if applicable. What determines when it’s applicable? Does it need to be filled out for all small clients or only in certain circumstances? If the IRS had actually updated the Form 3115 instructions to comply with the 2014 regs and provided completed samples it would certainly make this problem a little easier. That’s really a separate accounting method change. Note that the ebook describes how to do 3115s for a small business or real estate investor so they can change their accounting for tangible property. One can obviously do 3115s for all sorts of other accounting changes. E.g., the change from cash accounting to accrual accounting. Obviously, when you do these other accounting method change requests, the form gets filled out differently and often you have a Sec. 481 adjustment to make. Rev. Proc. 2014-16 specifically says Schedule E must be completed. Does Schedule E only apply to depreciation changes that yield a §481(a) adjustment, or are they referring to the methods that will be applied in future periods as we follow the new accounting methods we are applying to use (assuming we are preparing a 3115 with -0- §481(a) adjustment)? I’m unclear on when the Schedule E needs to be included, especially with the language in the Rev. Proc. We purchased your book and have a quick question. Is the Routine Maintenance Safe Harbor amount separate from the Small Taxpayer Safe Harbor Amount? Also, is there a separate election to make for the Routine Maintenance Safe Harbor? I think you do have two elections, one the de minimis safe harbor per Treas. Reg. 1.263(a)-1(f) and one the safe harbor for small taxpayers per Treas. Reg. 1.263(a)-3(h). You should check your tax software. I bet you have two check boxes you use–one for each election. Can forms to change regs 184, 186 and 192 be combined on one form or must they be three separate forms? Steve, thanks for answering my thought about how the housewife working part time behind the little curtain at Walmart doing 1040’s was going to address the 3115 issue for schedule C & E’s. However I think your CPA friend is playing with fire deciding not to complete the form imho. 1. Signing the tax return knowing the 3115 should be attached is non-compliance and subject to heavy fines. 2. If IRS demands the 3115 form be filed in a subsequent year and it cost the taxpayer $7,000 they will sue preparer for cost and additional fines. 3. Additional audit risk, even if a no change on 481(a), IRS can always find something else. 4. Client losses actual depreciation and deductions. I think this whole 3115 form idea is beyond insanity for those under $10M however i like to sleep at night and don’t want to wait for the bomb to possibly drop over the next 3 years. Tony, I totally, totally, totally agree. You are preaching to the choir here. Also, LOL about the housewife working part time behind the little curtain at Walmart. I agree this TPR-generated need to file 3115 forms is terrible administration of the tax law. I also think my friend, whom I love like a brother, makes a mistake by not doing this. His rebuttal is his clients can’t afford the extra fees. But I think you’re very right to point out that as a return preparer he’s supposed to comply with the law. On page 60 it looks like the routine maintenance and small taxpayer safe harbor are limited to a total of the lesser of $10,000 or 2% of the unadjusted basis of the building. Is this correct and there is 1 limit for both, or 2 separate $10,000 limits, or no limit for the routine maintenance. Thanks for your help. And thanks for the book – it is a real lifesaver! Basically one says, hey, routine maintenance doesn’t have to capitalized… and one says if you’re a small taxpayer, you don’t have to capitalize repairs maintenance and improvements if they total lesser of $10K or 2% of adjusted basis. So then there is no limit on the routing expense amount each year as long as the election is made? Also, one last question…..do you have the definition of what the IRS considers “unadjusted basis”? I.e., this is like any legitimate expense deduction. If an expense deduction meets the statute’s and regulations’ requirements, you’re good to go. Even if the actual dollar value is large. BTW with large routine maintenance expenses, you’d obviously want to make sure you were applying regs right. We are considering making the purchase of your eBook, but wanted to find out what format we would be downloading. Is it a PDF? Is it searchable? Is it Word? Thanks so much! It’s a PDF and you should be able to search it. BTW I’m offering a money back guarantee so if you don’t get value, just let me know. Thank you for this! You state that this form should go to Ogden UT. Does it not need to go to the national office? I have only basic 3115 related to the repair regs (change 184,186 and 187). Thanks so much for your help! Normally the forms go to the National Office. You’re right about that. But most (maybe all?) of the TPR-related 3115s go to Ogden. You recommend reading through the “very synoptic treatment provided in the Small Business edition of the Quickfinder. ” Can you tell me where in the Quickfinder I can find this? Thanks. Pages J-7 and J-8 in the Small Business Quickfinder. I purchased your e-book today in hopes that it would make the filing of the Form 3115 in regards to the new repair regulations easy for me to put into practice. Although there is a lot of really good information, I do find several items to be lacking that I would like clarification or completeness on. According to Rev. Proc 2015-14 (pg. 31) there are several items that require answering for which your example the Form 3115 in Appendix B is blank. First question is why? Second question is please provide the correct answers for those sections. 1. Part II, line 13 should not be answered. Why did you complete this portion? 2. Schedule E are not answered at all. Why did you leave these items blank? Please provide the correct responses. Do you have suggested present and proposed language for DCN 187? The questions you have we can answer, we’ve already answered in other responses to comments. Just skim the other practitioner’s comments and my answers. Also, note that you’re welcome to request a refund. This book comes with a money back guarantee if you feel you didn’t get value. The quick answer to why we’re answering question 13 when it’s not necessarily required; when we started doing these forms we found that Lacerte was generating a critical diagnostic when we didn’t answer Question 13, so we’ve been answering it to make the diagnostic go away. I don’t think it hurts anything to answer this question even when it’s not necessarily required. The quick answer to the other question is that Questions 13 and Schedule E are sometimes required. I believe that what determines if they’re required is whether or not you’re changing your depreciation method for a unit of property. Our example client isn’t doing this, so Schedule E has been left blank. There will be taxpayers for whom this section should not be left blank; it’s up to the tax practitioner’s professional judgment to apply their knowledge and understanding of the rules to determine if this needs to happen. Our source that we’re using is Rev. Proc. 2014-16 (I don’t know which Rev. Proc. he’s referring to, but that’s the Rev. Proc. for acquiring, producing, and improving tangible property). (G) Schedule E, if applicable. Taxpayers which aren’t small taxpayers will have different reporting requirements. Steve, do you know if the 3115 form and annual elections are also required for form 1120H? I have researched this for several hours and can not get an answer anywhere. They would be required… Yet, and I almost hate to say this, I would think the risk of not complying in the case of a small HOA paying no taxes would be next to nothing. Thank you Steve for the book. This is the most ridiculous thing I’ve ever seen in my career as a CPA. Anyhow, I wanted to ask a question regarding the multiple changes allowed on one 3115 under part I of the form per the Rev Proc, and how Lacerte appears to only allow one change per form – leading to 3+ 3115s that we need to get signed per return. In an effort to avoid this, I saw in another forum that people using Lacerte were listing all of the changes under part (b) Other. For the description they were putting “Codes 184, 186, & 192 per new regs”, and then including all the statement information that’s applicable to all three. That at least keeps it a little simpler on just one 3115. Do you have any thoughts on that? I know in reality no one knows what the exact method to use is, but if you have a thought either way I’d like to hear it. I think the workaround you describe sounds good. The IRS website now has specific instructions that tell you how to e-file a Form 3115 with multiple automatic accounting method changes on a single form. Of course, I assume your tax software would have to be updated to accommodate these new instructions. Thanks Marie. I’m sure the vendors will quickly update their software… but it’s perhaps a little much to be changing the procedures half way through tax season… BTW .thanks for your other useful post. And if the IRS expects it, hey I’m going to comply! My question is (as others have alluded to) – is it possible for you to come up with a sample 3115 combining the language for what the majority of filers will be dealing with? Or perhaps 1 for landlords and 1 for businesses? I also purchased your e-book and was sort of hoping that would be included. I think most agree these need to be filed, but now we are looking to get these 3115’s done and samples would be extremely helpful to have. I understand your point, and my other answers are the best we can do. Note that we are technically constrained here by what our tax software seems to allow at this point (or on the days we published the samples) and also what we can practically deliver as an ebook that works as a download. Please note that if we begin creating various permutations we would grow the ebook length to approximately the same page count as the rev proc. Excellent post! I use Lacerte also. Seems, we can’t automatically print the additional copy (to be mailed) of the 3115 along with the “tax Return” print option. Are you mailing the signed 3115 or giving it to your clients to mail? We are having client mail. Our approach BTW is to give client printed copy to mail–and then asking them to mail before returning the 8879. Steve, I’ve been hearing that a lot of the national firms are preparing a Form 8275-R Regulation Disclosure Statement along with the Form 3115, which essentially says that the taxpayer believes that they are overcapitalized and to be conservative no 481 adjustment is being computed. This appears to be an attempt to get out of a 481 analysis while also CYA to avoid preparer penalties down the road. Have you heard anything about this? I just keep going further down the rabbit hole and it’s starting to make me dizzy… In reality we are doing no 481 adjustments. There’s just no way we have the records or manpower to do it. We are a 10 person firm that files 1,300+ returns every year. It ain’t happening. I’m almost positive it would be favorable adjustment in most cases though, since we are pretty conservative when it comes to capitalizing items. Is getting a Form 8275-R filled out advisable? Or is the 3115 with no 481 alone what you are doing? Thoughts on this? Our standard approach is to say we don’t think we need a Sec. 481 adjustment due to things like Sec. 179. This is a finesse in a sense because we don’t think the typical small business client wants to pay for the work required to do the analysis that would be required for a Sec. 481 adjustment for this stuff. Also, in the end, we think this would amount to a timing difference because you’d eventually end up depreciating the overcapitalized amount anyway. BTW, I am aware/alert to the argument that doing this the really proper way might reduce the depreciation you later recapture or treat as unrecaptured Sec. 1250 gain. Must we do 2 separate 3115’s for 1040 taxpayers who have both a Schedule C & Schedule E? I wouldn’t think so… the accounting method is a taxpayer level thing. I just purchased your book and in a rush I mistyped my email address. What is the best way to acquire the ebook? It does! Thank you for the quick response! 1. Can more than one change be requested in one 3115? Not sure my software Ultratax can handle more than one per 3115, but we can use pdf and file several changes in one. 2. Do you recommend also filing the safe harbor elections along with the 3115 or just overkill with that? 3. I plan to also include 187 along with 184, 186 and 192. Do you have sample wording to use or a sample 3115 for a 187 change you are willing to share? Question #1: You can combine changes on a 3115 subject to, well, instructions provided in the Rev. Proc. BTW, in our office, we’re doing them in separate 3115s… but as you note–and people should take note of this–you can only easily e-file one 3115 with an entity return. If you have 2 or 3 or more, you need to attach the second, third, fourth, etc., as PDFs. BTW, I don’t know how UltraTax handles this, but with Lacerte, you can miss the fact that that second and third 3115 aren’t getting filed. (BTW, I don’t know this for a fact, but I would assume that Intuit’s ProSeries product works the same way.) Also, note that with Lacerte and ProSeries (and I assume with other tax software like UltraTax) that you can’t e-file 3115s for a 1040 return. Question #3: We unfortunately don’t have examples for code 187 or 188… but they should look pretty similarly to the code 186 sample. As I’ve noted a handful of times in this thread, we’re a bit limited in how many examples we can do and maintain an short, easily downloadable ebook. Further, and this won’t be an issue for most people, I am surprised that Lacerte doesn’t take the Sec. 481 adjustment you enter onto the 3115 and “do” something with it. That’s okay, I guess… you just need to remember to move the value to the entity tax return. But with maybe every return this year needing a 3115, I kind of hoped they would deal with this more artfully. Thanks Steve. What are you filing for real estate investors with 1 or 2 rental properties reported in schedule E? Just the elections or the 3115s? I would think, though, that you do want to be doing them for real estate investors. And then maybe I better say this too. That one real estate return we’ve done so far? That taxpayer insisted they didn’t need and didn’t want 3115s. A new client, I didn’t argue… just made him email me his decision and reasoning. I am not sure I’d act the same way if I encounter the same situation again. by the way, I’ve promoted your book on another accounting website, it is such a great thing you did! Hi Samantha, First big thank you for the promotion… If you want–and just for fun I know you didn’t need it–I’ll send you a copy of my QuickBooks for Dummies title… if you want. Second, this is the address we’re using: Internal Revenue Service, 1973 North Rulon White Blvd., Mail Stop 4917, Ogden, UT 84404. This address appears both in the 3115 instructions and in the Rev Proc. However, our local post office insists that the zip code is wrong. They say the zip code should be 84201. What is the correct address for Ogden? Internal Revenue Service, 1973 North Rulon White Blvd., Mail Stop 4917, Ogden, UT 84404… if you believe the form instructions and the Rev. Proc. As noted elsewhere, our local post office says that zip code is wrong and that the right zip code is 84201. We however are continuing to use the 84404. If taxpayer makes accounting change #184, do we scrub depreciation schedule for assets less than di minimis placed in service in prior years and calculate 481 adjustment on those assets? No, I don’t think so. Presumably you used an appropriate accounting method (e.g., an appropriate capitalization policy) for past years. And now the new rules make you change that. So because of the change, you do things differently going forward. But you don’t necessarily need to go back and scrub your fixed assets. Or least not if you’re approaching this the way the ebook suggests. BTW, I think you could do something like you suggest. But that approach is way, way more work that most small business taxpayers and real estate investors will want to pay for IMHO. Another thing here to think about: If there was stuff that might trigger a Sec. 481 adjustment, at least in the case of a business with the Sec. 179 election available, you should have already depreciated anything you capitalized, right? My Spam Blocker killed your email to me with Subject: Your Purchase etc (I had to look it up in my email monitor). May I please request you to re-send your email to me, so that I may download the ebook. completing the power of attorney form? I think in your case, you might pragmatically file a couple of 3115s… One a code 184 3115 and one a code 192 3115 … and then you’d call it good. Or maybe “adequate” is a better label. I purchased your e-book and I have a question about the sample 3115 for the 184 change. In your example you state that “No identifications of units of property are being changed under Reg 1.263(a)-3(e). In cases where we have a building, do you have sample language for line 12 to adopt the new unit of property rules? We don’t, sorry. As I’ve noted several times in this thread, we tried to provide a couple of truly standard “completed” forms using some simplifying assumptions. But practically speaking, if we go hog wild we’ll end up with an ebook bigger than the Rev. Proc. If in a prior year you capitalized an item that is a betterment to a building system (and thus a betterment to a building UOP), does that necessarily mean that its class life needs to be changed (say to 39 years for a commercial property)? This book has been quite helpful! All your comments/responses to people are also appreciated – I’m sure it’s time consuming. For an Individual who owns a SM LLC – do you file the 3115 under their personal name? Or as the LLC? Well, probably the SMLLC is regarded… and if that’s case, it doesn’t exist for tax accounting purpose. It’s income and deductions (and therefore its “accounting methods”) appear on its member’s tax return. Single member LLC, disregarded entities, should still have a separate identification number to ensure the recognition of that the entity us separate & apart from your personal assets. Steve, can you efile a Sub-S corporation return that contains the Code 184 Form 3115? Yes, and by the way, I said something yesterday that appeared to be true and which our Lacerte user documentation said was true but was in actuality false. If we file the current form is it possible they will possibly be rejected after a certain date? The overall insanity with this topic never seems to end and simply gets worst. I’m sure many of the form questions will be different after 5 years, your thoughts? Maybe we get a 3115-ez? Gosh, that doesn’t sound like a very good solution to me. I think we file returns now using the approved forms. I’ve done a lot of research on this, and feel pretty comfortable regarding potential 3115’s for 184, 186 & 187. What I’m really struggling with is 192 & 193. Does your e-book address these in detail, and provide example 3115’s? I need some guidance on when these two apply, and some language to at least start with in answering question 12. If your e-book can help with this, I’ll purchase it in a heartbeat! I would say that if you’ve done a lot of research and feel comfortable–if you’ve for example read the regs and relevant rev procs and can handle most of the 3115s you need by yourself–that you probably don’t need the ebook. This ebook is for people who don’t have time now to spend the 40 or so hours one needs to spend to get up to speed on this mess. Thanks for the reply. I’ve spent quite a bit of time researching all of this, but still don’t feel like I’ve got a handle on all of it. In my opinion, the IRS has created regulations that are going to be very difficult to fully comply with. Small business taxpayers do not want to pay their CPA to audit their purchases every year to determine how everything should be classified. Few clients will have the ability to apply these rules properly on their own. What’s your opinion on DCN 192 related to §1.263(a)-2? I’ve read everything I can find, and my take on it is that the regulation is essentially what most people have already been doing, so there really is no accounting change, and therefore no need for a 3115. I realize I’m generalizing, and that every client is going to be unique, but I think that, for the most part, this describes most of the small business clients that our firm deals with. Thanks for your willingness to respond to these posts! Well, first, I empathize with you on the extra work and with your clients on the extra cost. A couple of other comments: I don’t think need to audit… also I think you do have accounting method changes… sorry. Check this out. Just posted today. What do you think? I posted my comment here, but I think it’s terrible administration of the tax law. One thing to keep in mind is that you’re still required to comply with the TRPs. What I’m trying to figure out is when to prepare the 3115 with codes 205 and 206. The late partial disposition election, code 196, is hogging the limelight on webinars and discussion threads. 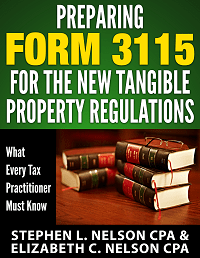 Should all taxpayers with tangible property be considering filing a 3115 to adopt those rules as well? Does your ebook cover either of those items and the 3115 handling when there is no 481(a) adjustment or offer sample language? We don’t talk about late partial disposition elections. I should do another blog post on that. For real estate investors, the situation differs of course. Yet I would think most small time investors aren’t going to want to pay for the accounting required to get the benefit. BTW, I know people focus on the unrecaptured Sec. 1250 gain you may be able to avoid… but I still think that our small real estate investors are the people least likely to want to pay, say, $1K or $2K to have a staff accountant review several years or returns or dozens and dozens of fixed assets. any reference to Sch E. Isn’t this a required Schedule for me. I don’t see anything in your 3115 examples. Schedule E relates to depreciation related changes… you might do that too. But that’s sort of outside the tangible property regs stuff at least the way we’re treating it. Steve, Do you have a table of contents or preview of the book that I can look at before I decide to make a purchase? No sorry. But we’re offering a money back guarantee… so if you don’t feel like you get value, let me know and I’ll refund the money. BTW, you should save hours of time copying our example statements… Hopefully you can more than make back your investment in the ebook with the first tax return you do. Thanks for reaching out and putting this information on the internet. I think what is missing from this whole discussion prior to your placing this on the internet is the practical side of getting through this quagmire. My question is can we file just one 315 with numbers 184, 186,187,182,193,200,205,206,207. If so, then we can file one form for all of our clients regardless of whether they need it or not. Also, we have seen several things written that say you need to look at your repairs and supplies for the last several years (we are doing 3 years) to see if you need to capitalize anything that you had previously expensed. As far as going through previous years, again, I don’t think you need to do this in typical situations. Sec. 179 and bonus depreciation would surely seem to “fix” any improper accounting methods. Also, remember that improper accounting methods need to be used in consecutive years to establish an accounting method. Steve, does Rev Proc 2015-13 & 14 change anything on how you were going to fill out the 3115s? We downloaded your book and are going to follow pretty closely with what you are doing. It doesn’t appear that they change anything but I’m not sure. Hi Steve, this is going to sound rather simpleton-ish. We understand what we have to do with form 3115 except the beginning and ending date. Are we using the beginning of the year 1/1/14, the date the late procedures came out 1/16/15, ? And what do you put for an ending date since Lacerte gives a diagnostic if no ending date. All else is good! Great treatment of this! No dumb questions… at least not here! I think the tax year ends box gets filled in as 12/31/2014. Just wanted to take a moment to let you know that your e-book gave me what I was looking for. I have spent many hours trying to understand the new repair and capitalization rules and how they effect a small town CPA sole practitioner. Your book has helped me tremendously.I will recommend it to other CPA’s I know who are struggling with this issue. Many thanks!! The book is well worth the the nominal price. Thank you for the kind words Charles. Good luck with your tax season. If you have already filed 2014 tax returns without attaching the 3115. Is it okay to file with Ogden and then amend the returns attaching the 3115 tax form? It is my understanding that you can file up until the due date of the return, but I wanted to verify. You’re supposed to file the “real” 3115 first and then attach a copy to the taxpayers income tax return. We here probably all know that. If someone has goofed this up unintentionally I would think a rational response would be to get that 3115 into Ogden and then maybe amend the original income tax return so it includes the 3115 copy with some excuse that lets anybody who cares see you’re trying to comply. It’s in some of this procedural stuff where I would hope the IRS would give practitioners and taxpayers some forgiveness, etc. This has grown exponentially, and completely out of proportion.. Yes we have sanctions and we need to protect our license and our clients pocketbooks. YES 986 pages to explain depreciation is a bit much. You also need to look at 2015-13 and 14 and the corrections issued on February 2. This week the Commissioner is meeting with Counsel and something will be forthcoming . .As you will notice above , everyone is waking up and finding that there are not enough hours in the week to do the job correctly. Hopefully, the Commissioner will listen to the outcry’s of the practitioners and stop the insane regulations at L B and I level. I think it would be a tricky thing to change the rules mid-game. Even bad rules. AICPA sent out a tax alert around 5pm (est) today that they’re still pleading for small taxpayer relief from the IRS and expect a definite answer in less than 2 weeks, fun playing the waiting game in mid to late February. (1) Do you think IRS might be insisting on 3115 forms and 481 adjustments so they can go back to closed years to find assets that were improperly expensed instead of being capitalized, and then drag that income forward through the adjustment? (2) For change 184, I had my written policy in place for the $500 de minimis for 2014 and 2015, but I was not clairvoyant in 2013 or before. So, since I didn’t have the policy in place before, should I really be going back to pre-2013 and applying the de minimis policy for not depreciating property costing under $500 for my 481 adjustment? Second question, I think you take the position that in years earlier than 2014 your capitalization policy reflected a proper method (perhaps based on court cases like those referenced in the ebook) and then in any case where maybe that’s not completely satisfactory a Sec. 179 election nullifies the issue. And I think, if you work from this position that you don’t have to get into the old fixed assets records. As a landlord, I’ve been told I can’t use Sec. 179. So every appliance, etc. that I have bought since 2009 as 5 year property (except 2011 with 100% special depreciation) has current-year depreciation to 2015 or beyond. I will stay tuned to the blog for any updates. You’re right… you can’t use Sec. 179 because you don’t have “business income”. Good point. Thank you. I still think you try to get to a place where you don’t have a Sec. 481 adjustment (unless you have giant numbers you’re dealing with) because putting a Sec. 481 adjustment on your return will be a lot of work for (in my opinion) very little benefit. By the way, that’s not to say that the Sec. 481 adjustment won’t produce benefits. You would presumably find that you could via a careful scrubbing of the fixed assets find some items you could immediately deduct in 2014 using late partial disposition type treatment. This would give you a bigger deduction in 2014. If you did this, you would probably also in effect reduce the accumulated depreciation you’ll later have to recapture or to treat as Unrecaptured Sec. 1250 gain. So that’s good. But I think the net profit on this sort of work is pretty modest for most taxpayers if they need to pay $200 an hour for a tax accountant proficient enough to deftly deal with all this. which change numbers do you have sample 3115’s for? Client purchased rental property in 2013 and entire building cost put in one asset. and if so what DCN or an election with a statement or just do it? I think so though not because of the TPRs but because you’re changing your depreciation accounting method… this is outside the scope of our ebook though. Curious how other preparers are handling the process of the signed 3115 form having to be mailed to Ogden before returns are actually e-filed. I’m planning to have page 1 of the 3115 mailed back signed along with form 8879. I am also sending a red instruction sheet refusing to accept faxed or emailed copies of page 1, this is also an administrative nightmare. Hey Mike, I have our answer to the question and also kind of a funny story (embarrassing a little, too, for me.).. First, here’s how we’re doing it: We print up a paper 3115 for client and tell them to mail it before they sign and send back the 8879. That’s our approach. We are not going to worry about people who goof this up. Anyway, the first time I read the rev proc, I read it to say the 3115s went to national office… and then almost right after I dropped the envelope into the mail box I learned, oh sheesh, the 3115s packet is supposed to go to Ogden. I’ve been wondering what will happen with this… and today I learned. She told me not to worry about said she was glad we’d talked because now she’d just start automatically sending the 3115s with codes numbered 184 and higher to Ogden. All IRS is going to do is enter the code changes on page 1 in a database per taxpayer, IRS will never even turn to page 2 of form 3115, they can’t. All forms will be scanned into another database for possible future reference. Do you have any thoughts on filling out question 9 and/or 10? It would seem that two related parties (say an individual and a wholly owned S-Corp both filing a 3115 this year would need to answer yes to this question and reference each other. If so, would it be yes to question 9 or question 10? I think you need to answer those questions accurately of course. In our example, we’re assuming the taxpayer hasn’t recently requested an accounting method change… and also that related parties haven’t made such requests. BTW I do not think that this means each shareholder in an S corp needs to include a copy of the TPR 3115s filed by the S corp.
Steve – I just purchased your book. It’s a great summary and the sample forms are very helpful. Thank you! 1. Is 3115 required for businesses that started in 2013 assuming their accounting methods are consistent with the new repair regs? Or do they need to amend the 2013 returns? I’m curious to see if the IRS is looking for amended returns for businesses that started in 2013. 2. For businesses that started in 2014, I’m assuming so long as the business kept their accounting method consistent with the new repair regs then they do not have to file 3115 since it is an initial year, therefore there is not a “change” in method? I think you probably don’t have to worry about businesses that started in 2013 and used the new regs. And none of us should have to worry about businesses started in 2014 because they were supposed to use the new regs. BTW, our office’s approach is to not file 3115s for any businesses started in 2013 or 2014. We’re assuming (unless we somehow learn otherwise) that the new TPRs were used. In the instructions Part II Line 13 does not need to be completed if you qualify as a small taxpayer under Revenue Procedure 2014-16. On your examples you completed Line 13. Can you please explain? This is another diagnostic issue: when we did the example forms, Lacerte wanted that box checked. BTW, in the new build of Lacerte we got yesterday (I think), that diagnostic goes away. Thank you for making your e-book so affordable. It has been very helpful. One of things that I need clarified is if the TPRs apply at the taxpayer level or if they are applied at the entity level. I took a CPE course that stated if a taxpayer has 10 disregarded LLCs, they would need to file 10 different 3115s. Can you point me to where I can find the answer in the regs? Thank you! I can’t point you to the primary source authority on that one. I would think (and I used to teach the “Choice of Entity: LLCs vs S Corporations” class at Golden Gate University’s masters in tax program) that you would follow the check the box rules (Reg Sec. 301.7701) and “disregard” the disregarded entities… I.e., if the LLCs don’t exist, if they’re “tax nothings,” how do they become factors in an accounting method change? If someone has a better on point primary authority, love to have that comment posted. On a schedule e in an individual return, my reasoning for no 481 adjustment can’t be the extensive use of code section 179. what do you suggest. The examples in the book only cover operating companies and not rental properties. Assuming you’re not dealing with an improper accounting method, I would just remove that language… and then I’d consider adding new language referencing the court decisions mentioned in the book… those that basically support use a de minimis capitalization limit. your examples do not have any box checked for type of accounting change being requested, ultra tax gives you a critical diagnostic that there needs to be some type of entry in that section. I believe you… and (not surprisingly) would suggest you defer to UT’s diagnostics…. but in Lacerte for our example case we were not getting a critical diagnostic. We use “O”, for other, then use “Adopt New Regs” for the description. I don’t think that works… When you answer question 12, the rev proc says that you are supposed to specifically cite the treasury reg sec. – The “tax year change ends” field says 12/31/14…is this something that has to be done every year? – Many active small businesses will have change #186, #192 AND #184, does this mean three different 3115s will have to filed? First question: Nope, you don’t need to do this every year. Second question: You can combine but you can’t e-file a “combination” 3115. How do you folks get from 7,330 to tens of millions of taxpayers? Seems like we have a bit of chicken little going on here. Clearly it was not the intention of the IRS to require every old person who happens to own a two-family home to file form 3115. The IRS does say that. But many people think that’s a bad estimate. A really bad one. The law (IRC 446(e)) says you need to get permission to change your accounting method. Do the new regs change the way people do their accounting? You need to be able to answer that question “no” in order to say 446(e) doesn’t apply. This question relates to Schedule E residential property owners. Many of my real estate owners have capitalized roofs, repipes, remodels etc but they also capitalized over 5 years carpets. Over the past few years bonus has helped but now they are sitting on the Depreciation Schedule. I am under the impression that carpeting tacked down is a repair under the new regs because they generally need to be replaced every 5 years so it is within the once every 10 year rule for buildings and therefore a repair not a capitalizable item. So in my case the adjustment to clean up the depreciation schedule is $22000 since this is a large property and there was over the years a lot of carpet replacement. the E as a line item 481 adjustment or do I just run it thru depreciation. I think you’re looking at all this basically right… But I guess what I’d still wonder is why not just let the carpet fully depreciate and then at the next replacement date, show a disposition of the carpet at a zero sales price. That’ll pretty quickly clean things up. And basically for only very minor additional cost. I guess one other thing I’d say here is that my approach (and that promoted in the ebook) is try comply with the new regs at the absolute lowest possible cost and hassle factor. If a practitioner or client wants to get more sophisticated, what I’m suggesting is probably not quite the right approach. If I choose to make a 481 adjustment does that show up on the Sch E as a line item 481 adjustment or just depreciation or somewhere else. Where you report a Sec. 481 adjustment depends on the specifics of your situation. But to give a simple general answer every one can relate to, if youh have a corporation and you need to report a Sec. 481 adjustment due to a taxpayer switching from cash basis accounting to accrual basis accounting, you report a positive adjustment as Other Income on an 1120 or 1120S corporation return. What is required for a 1040 with 1 residential rental (I noticed “CPAinLA ” mentioned 2 or more rentals) who has complied with previously regs? Is small building safe harbor enough or is 3115 required as well? Second, I think the specifics of a particular taxpayer’s situation probably require someone to click through the actual regs “hyperlinked” in the book. But almost surely the taxpayer does have 3115s to file. Finally, I would think you probably use one set of 3115s for the entire collection of buildings that appear on a tax return. But there’s not enough info here to provide a good answer that works in all cases. I am trying to figure out if you need to file a 3115 for a partial disposition in the current year. Or do you simply write off the disposal on Form 4797 in the current year. The literature is clear that an election needs to made on the federal return but not clear in the manner in which the election has to be made. can you clarify this. has anyone done this in 2014? 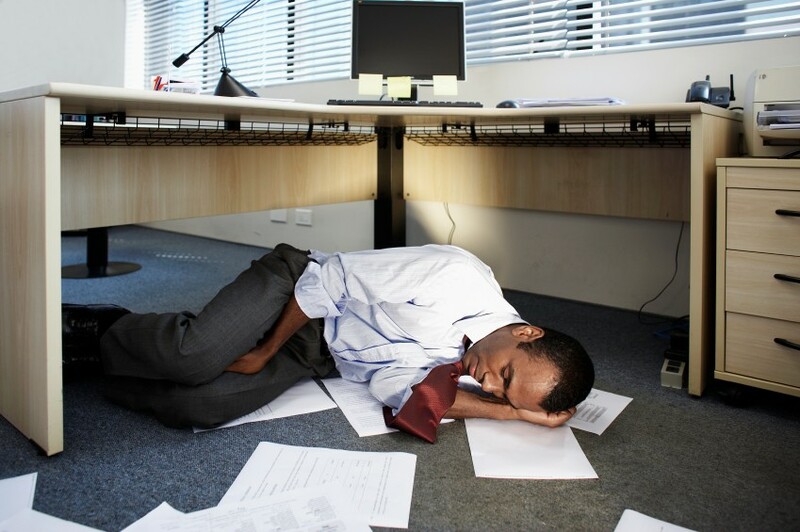 A handful of situations exist where you do need to file a 3115 including late partial disposition election or if you’ve already established an accounting method in part for dealing with partial dispositions in the circumstances where partial dispositions are now required (e.g., casualty losses). Thank you Steve for your prompt response. I also want to thank you for the ebook you put together which was very informative, useful, and we are adopting it for the 3115’s we are filing. I guess I will need to figure out what the election language will be. if you have done it before or anyone else, please let me know. thank you for all your great help. Hi Steve, maybe its me but i cannot understand all the debate over question 13 in part II? It’s in the information for all request section, it ask for the business, activity code and overall accounting method. What am i not seeing? If we don’t list these items here, then where? I have a tangential question- do the new Regs. eliminate the benefit of cost segregation es for real property by which taxpayers were using shorter depreciable lives for various building components? I always thought that was a dicey concept to begin with and now seems to have been written out as a possibility if my reading is correct. I think we sort of get, kind of, half way there with the partial disposition rules. But cost segregation should still let you accelerate fixed asset depreciation for those parts of the realty that, magically, get transformed into personalty. In a sense, those, the partial disposition rules do something additional in that they let you also get accumulated depreciation out of your fixed assets accounting. Now that I think about this more, maybe a better way to say this is that partial disposition diminishes the value of cost segregation a bit and so maybe makes cost segregation a bit less desirable? I suggest that those who paper file the 3115’s to Ogden use CERTIFIED MAIL RETURN RECEIPT REQUESTED. I have done this for years and the Service has tried to nail some of my clients for the Sec. 6698 and 6699 penalties, but we prevailed with the IRS acceptance signatures/postmarks from the postal documents. Thank you for the e-book, well worth the price. However, your advertisement above clearly states quote “you will receive three sample completed forms 3115 for the most common accounting method change requests”. My e-book has two. Appendix B and Appendix C. That is two, not three. Did I miss something here? Thank you again. Some of the first downloads only had two samples do to an little glitch in the way we assembled the pdf… I’m going to send you a refreshed link Johnny and you can use that to grab an updated copy. Hello. I have purchased the ebook and the examples are what I am basing all my Form 3115 filings on the examples. The only problem is I need the correct verbiage for DCN 187. It would also help to have an option to copy and paste the verbiage. The attachments have a “do not file” watermark and I cannot copy or paste the examples, I had to retype. Hi Chris, yeah, sorry, as I’ve pointed out in several other comments, we didn’t do examples for every 3115 a taxpayer might file just the ones we thought were most common and which would allow people to have a sort of template. As far as the copy and paste feature, again, sorry, you do need to retype those (and perhaps tune them for the specifics of your typical practice situation). Sorry. Chris/Steve: the way we dealt with it was to type the verbiage in a word document and using Control C, Control V pasted into the tax return. we use prosystems so this worked great for us. you will need to check with your software to see how to copy/paste in the 3115 input screens. If the 3115 is used to change an incorrect accounting method and we are all absolutely required to file it for our Business and Rental clients this tax season, does that mean the 3115 won’t exist next year? Changing an incorrect accounting method is beyond the discussion here and would depend on the specifics of situation. Also the 3115 will exist next year and far into future since it’s the way IRS makes sure that Treasury isn’t shortchanged when people change their accounting. Hi Steve, quick question, if you apply for several changes on one 3115 form, should you post all changes in box 1a or simply write “see attached” in box 1a and list all method changes on a separate page? Could all changes be part of one long attachment or should it be broken out by method change? I think you do that… and that it really depends on what your tax software allows/supports. I am having a difference of opinion with another CPA. I have a client that filed their initial return in 2013 and deducted some supplies on that return. In 2014 they deducted some additional supplies and purchased some office furniture and a computer. My understanding is that I will need to file a Form 3115 for a 187 change with no 481 adjustment to basically say we have been following the rules per the regs and will continue to do so and that would be the only Form 3115 I would need to file for them. In a seminar I attended we were told you could possibly have a F3115 with no adjustment for the 186,187,188,189 and 184 changes. Does this sound correct? The other CPA has told me that at the firm she works for if the client is following the regs already then there is no need for a Form 3115 since there is no change in accounting method. She has told me she is only doing a Form 3115 for one client for the De Minimus Safe Harbour Election to expense items up to $5,000 and that is it. I don’t know all the details of the situations you describe but if someone started business in 2013 and used the new regs then, they obviously aren’t changing them in 2014… BTW if some operated before 2013, they surely used different accounting methods for tangible property and so need to change their accounting methods either in 2013 or 2014 and so need to file 3115s. As you note, it’s very possible that people won’t have Sec. 481 adjustments. If taxpayer used proper old methods and proper new methods and doesn’t want to fiddle with late partial disposition stuff, the 3115 for TPRs might show no Sec. 481 adjustment. For the record, this is the way we’re doing the overwhelming majority of our 3115s for the new TPRs for small businesses. Your comment about the safe harbor election is interesting. First, the safe harbor election doesn’t itself require a 3115. Elections are not accounting methods. Second, the $5000 de minimis amount applies to situations where the taxpayer has applicable financial statements (basically audited financial statements) and so I would say that’s an entirely different ball of wax from what most of us here are talking about. The cookie-cutter approach suggested by our ebook assumes the taxpayer is a small business without applicable financial statements. Thank you Steve. I think the other CPA realizes that the safe harbor election is an election. She was just saying this was the only thing from the regs she was going to do. Actually her comment was most of our clients already expense material and supplies so there is no change in accounting method. My first thought was……what about all of the other stuff in the regs besides materials and supplies??? I’m sure a lot of the people she is talking about have been in business for years, which is different than the client I was asking you about. I do plan to download your e-book since I think it will be helpful to me since I am dealing with small business owners as well as small Schedule C, E & F clients myself. One more thing I wanted your opinion on if you don’t mind. I had recently printed out some seminar slides I located in doing some research that had a chart for TRP’s and Form 3115. Based on the chart it looks like for example, for a 187 change for 2012 & 2013 your have a Prospective 3115 and then for 2014 you are required to prepare a Form 3115 for amounts paid on or after 1/1/2014 into future years according to the chart. This seems to say that even if you have been following the rules you are required to file and are telling the IRS you will follow the rules from now on. Wish there was a way to e-mail this chart to you here as an attachment so you could see what I’m seeing. This seems to differ from our discussion yesterday and this is where my head spins as far as what is the right way to do this. I even went to a Blog that is in my tax software and there seems to be all kinds of opinions about this, but it does seem like everyone is tentative about preparing these for their clients. Sorry, I don’t think that’s right. I think you need a 3115 if you have changed your method in 2014… that’s the thing to focus on. Presumably you have changed your method in 2014 since that’s when the new TPRs appeared and the first year they apply to. Can you tell me if my thought process is correct? After I consider the amount a client spent of materials or supplies ($200-$500) I still have to consider whether the client consumed those supplies by year end. If not, I have to book a prepaid for those supplies or just because they are less than the limit expressed on their accounting policy I would just expense them? I am just confused on when I need to consider the consumption issue. I think you can expense “old stuff” that under the new rules could have been expensed. I think this is the “scrubbing the fixed assets list” work that accountants are talking about. I don’t understand the second half of what you’re saying. Maybe check out the next blog post we do (on partial dispositions) and see if that helps you further develop your thinking. Seems to me new regs as affect commercial real estate want to have you either expense an “improvement” if can justify as routine maintenance…under every 10 year rule…or safe harbor….or use a 39 year life….in past would often depreciate certain systme and larger maintenance items for shorter years…does a roof last 39 Years? Windows?…Etc…I wasn’t clear if can leave those alone or suppossed to expense now or lenghthen to 39 year lives…. A sch E rental that has has only deducted insurance, interest, property tax and depreciation and 200 to 300 a year in repairs, is a 3115 required? Why would you have to complete 3115 for what James King asked? See my response to your other question… this explains why I think the change in depreciation represents an accounting method change. Can you define, for purposes of the safe harbor election for small taxpayers, how the “unadjusted basis” of a building is calculated. If it is based on original cost, if you have a 1,100,00 total purchase price on a building and have attributed 150,000 to land value, do you then have a building with under $1,000,000 unadjusted basis. I think this is a question best handled by your CPA. Sorry. Hi Steve, I purchased your book and found it very helpful especially since you included sample forms. I know many CPAs i know are either not up to speed with the regs or has very limited practical guidance. Even the AICPA tax section doesn’t have much to really address how to handle this. I had a client referral that had bunch of real estates and repairs. When he called to notify me to stay with a previous accountant, I was actually glad. Anyhow, the new regs is causing a lot of small CPAs like myself many to build up many nonchargeable hours. Here are my questions: Can you tell me about change code 187 and in what situation or example I should be filing 3115 under that change code? In your sample 3115, there’re some questions in Part 1 and Part II left blank, Is this okay? I know some are left due to small taxpayer relief. Thanks for sharing your knowledge and I’ll spread this to others who feel lost like I was before reading your ebook. Regarding other codes, some taxpayers will need to do those. You’ll need to look at specifics of your situation… though for small business taxpayers–and gosh I probably shouldn’t say this on a blog–but I would not be obsessive-compulsive about tracking down every last possible accounting method change you need to make based on, for example, twenty years of accounting history. Grant you, that’s what you and I should do. But gosh, is “perfect” really the optimal choice here? I would try to do the 3115s you really need. And in most cases I would do them like the examples shown in the ebook. Have clients who are real estate developers of residential lots following 263A to cost out their inventory, have dealer status and carry the mortgages on the lots sold. Developments were sold out in prior years, but occasional repos. Would costs of repossession ( generally legal, other prof services. related fees ) be addressed by the TPR ? Is a 3115 in order for 2014 ? Any particular Auto Consent # ? Any known reason why IRS forms website would still show as current year materials the 3115 instructions which do not include the auto changes after # 180 ? BTW I had a conversation with a person in the national office last week and she didn’t know anything about the TPR-related codes. Nada. Not even where the 3115s for TPR change should go. At the end of our conversation, she thanked me for the little bit of education I had accidentally provided. FYI, somebody posted a reference to the e-book on the AICPA TPR Resources page this AM, said to Google Stephen L. Nelson CPA for filled-out 3115s. I saw it about 2 hours before it was removed, made my purchase. So don’t go writing about 3115s for Rolling Stone…. Hmmm. That’s interesting. I have some contacts at AICPA. I will ask them about this. Seems kind of funny if they’re restricting or hiding information their members may think other members would find useful. I am a CPA. I was consulting you as I thought you had this stuff nailed. That’s why I bought your E-book, looking for answers like this. OK, sorry, I didn’t mean to be rude. Check out the blog post I did today and then if you still have questions, shoot me an email. Boris, I understand your point. But this TPR stuff is really just another example of how complying with tax law has become more and more complicated–especially over the last few years. And to defend your accountant a bit, he or she didn’t make the rules. The IRS did. In any case, given that the rules exist, the only practical response by a CPA is to comply. One other thing that’s missed here (and which I too easily skip over too) is that the TPR accounting is good accounting. It cleans up what’s often been messy inconsistent accounting by businesses and investors. And that’s good. Also, buried in the new TPRs are some new, in essence, “loopholes” which taxpayers can use to their benefit. Like the partial disposition stuff. does the due include the extensions? can we file both 3115’s (one attached to the return the other to Ogden) at the same time? You want to follow the instructions in the rev proc, which to summarize say the 3115 goes first to Odgen and then a copy is included with your regular tax return. Question on how to implement the new safe harbor election for small taxpayers. This is for an LLC that owns two different buildings, each building with basis under $1,000,000. Do you apply the 10,000 or 2% per building, so allowing this LLC up to a combined 20,000 in repairs expensed? Also, on one of the building they have a 32,000 tenant leasehold improvement. If they have several other small repairs for say 6,000, do they deduct those under the safe harbor but then capitalize the 32,000 tenant improvement, or are the required to capitalize all because they are over the 10,000 or 2% threshold? I think per building but I would consult with your CPA about this. For safe harbor…Is it safe to assume “building” means building and not the land if broken out? Also, would “unadjusted” mean before accumulated depreciation? I think your assumptions are right. If a client, in 2014, was using the $500 rule for capital expenditures and $200 for Materials & Supplies, does it make more sense to do the safe harbor elections (and remember to do them every year from now on) or to do the 3115? It appears you would still need a 3115 for repair expenses-is that correct? I don’t think you would need anything to adopt the UOP rules, since by Making the election you consent to the UOP rules. If the 3115 is completed would you reference the $500 and $200 criteria in the description used in Part II question 12? I think maybe we’ve got the safe harbors mixed up here. But note that the de minimis safe harbor is an election and doesn’t require 3115s..
What is the due date for forms 3115 (with the tax return, and with the Odgen office)? And how bout if the tax return extended? Form 3115 should be filed before tax return is filed… you also include a copy with your tax return. Steve, thanks for being so generous with your time and knowledge on this subject, its greatly appreciated! I see the IRS issued relieve for small business under rev proc 2015-20. Now that the IRS has just issued Rev Proc 2015-20 what does that mean for all the Form 3115’s that we have already filed? I think don’t worry about the ones you’ve filed. Going forward, I think you skip them except in the circumstances I noted in the post I did today. What is your take on the new Rev Proc 2015-20 issued today regarding this? Stop the madness!!! Rev. Proc. 2015-29 is out today! No 3115s for small taxpayers, can change on prospective basis! YES!!! So just to make this point, small tax payers may still need to do 3115s. E.g., if you need to deal with a late partial disposition you need to do a 3115 for that accounting method change… and then you also need to do the 3115s for all the other accounting method changes the new TPRs trigger. 3115 no longer required for small taxpayers. That the 3115s aren’t required is good news. That the IRS has changed procedures mid-season is terrible. Sorry, the announcement was in IR 2015-29. The simplified procedure will be outlined in Rev Proc 2015-20. The only good news from all this 3115 drama was finding Mr Nelson, my new pal! Sums up the TP/F3115 drill quite nicely!! So to clarify – the simplified procedures are implemented by filing the return – no additional “procedures” actually need to be done, especially when there is no 481 adjustment. Does Rev Proc 2015-20 also apply to “Small Business” Taxpayers with Real Estate? The Rev Proc only mentions the $10 mil gross receipt element but does not reference the unadjusted basis of a building of $1M or less which, from my understanding, would have still required a Form 3115 for change code 184. I think it applies… so you’d need a lot of real estate to hit the $10M marker. Will you be providing any more sample 3115’s? Would like to see one for late election of partial dispositions. I’m working on a blog post on the partial disposition stuff. You’re not the first person to make this request. Let me see if we can add a sample to that post. Thanks for sharing your knowledge on these complex regulations. Do you have a suggestion on how to handle where you depreciated a prior year replacement HVAC over 7 years, as regs seem to point me to 27.5 or 39 yrs. Do I need to file 3115(what change#) with a 481 adj , use correct life moving forward of if if 8 years old just scrub from depreciation schedule. Again thanks for all your help!! You may have a situation where you were using improper accounting in past. And that’s a little more complicated than what the ebook or the blog posts here describe. Check your email junk folder. BTW you could have also downloaded it from the last window you saw when purchasing it. Abandonment loss under new regs (roof replacement w/o old roof) subject to 1250 recapture on sale of property in following year. Marc, not sure if we have your complete comment here… but if you’re referring to point that we need to think about late partial dispositions as a way to deal with unrecaptured Sec. 1250 gain, that issue is touched on at the post on partial dispositions. And BTW I agree with you if that’s issue you wanted to flag. Also, just so people know I know this: I understand that technically speaking unrecaptured Sec. 1250 gain isn’t really “recapture”… but we have readers with different levels of precision in their language and it seems like calling everything “recaptured depreciation” is best. PS Your book was great…could not have completed the 3115’s without it. No, it’s just a loss. Which is good. But note that if you do a disposition of the “roof” and as part of that pull out a bunch of accumulated depreciation from the taxpayers fixed asset schedules for the “real estate”, you do reduce the unrecaptured Sec. 1250 gain you’ll potentially have down the road. Client scrubbed depreciation schedules and found a bunch of assets still being depreciated, but long gone and consumed, such as generators, tools, air compressor. Can I do a 481A adjustment under DCN, or do I have to complete a DCN 206? All section 1245 property. Thank you, and loved the book. Very helpful. I guess that’s sort of late partial disposition. Kind of. And I think you could do a 3115 with a DCN 206. But wouldn’t a lot of people just show this stuff as a disposal in the current year’s tax return? I.e., the assumption is the taxpayer discovered in 2014 that the assets had disappeared. So you put a regular old disposition on the 2014 tax return. As businesses grow, the administrative burden of tracking small items grows, so I would expect their capitalization thresholds to increase as well. Do you think a change in a client’s capitalization policy would trigger the need for filing form 3115? I would think one uses the language and logic of Rev. Proc. 2015-20 to say that a higher capitalization limit is fine because it doesn’t distort… and that the “materiality” threshold is your accounting method. So I don’t think you would need a 3115 for this. Steve, I got your ebook and it is wonderful. I have a question though. Since the TPR deals with “accounting change” in addition to tax treatment, would returns with 1) employee business expenses, 2) Home office deductions, and even 3) Non-profit organizations need to file these 3115s if they had depreciable assets, improvements, materials & supplies, and R&M? If I understand your question, I think the answer is “yes” potentially. In other words, if a taxpayer changes an/the accounting method used in a return, the taxpayer needs to follow the appropriate procedures for requesting permission. Note though that small businesses (which would include most individuals, one-person enterprises, and I guess nonprofits) would probably per Rev. Proc. 2015-20 get to skip filing 3115s for anything having to do with the TPRs. BTW I don’t think I’ve ever personally worked with a nonprofit changing its accounting method via a 3115. But then we’re a corporate tax practice. Also, the 990s I’ve seen wouldn’t even have some of the common accounting method changes you see with a small business that grows. Business stated in 2013 and 6 assets each costing less than $500 were placed on depreciation (no 179 deduction taken), would you suggest a 481 adjustment for un-depreciated balance of these assets on 3115? Would you figure a 481 adjustment for all the assets that were handled this way for all your small business clients (keeping in mind that this probably can be done fairly quickly)? Also how many previous years do you suggest looking at the R/M and Supplies amounts that were expensed to determine if these amounts should have been capitalized instead of expensed? Thanks for all your helpful insight into this extremely complicated issue. Hi Lorie, I think with only $3000 of original cost (6 times $500) and probably only a modest portion of this balance left over after 2014 tax return’s MACRS depreciation, that I’d not worry about this. Probably this is five year or seven year property anyway, right? So things will clean themselves up pretty quickly automatically. This doesn’t seem worth the effort. As far as looking for repairs and maintenance and supplies expenses that can now capitalized per new regs… gosh, I’m not sure I’d go to any effort with this either… I mean, you’re presumably looking for amounts that taxpayer should have capitalized per the new regs but which were also appropriately expensed per the old regs… Right? Also I assume that Sec. 179 would have mostly or entirely addressed this issue for non-realty-type assets. I would think, if one was so inclined, that you’d want instead to focus more on materiality and benefit to taxpayer. Specifically, I’d look for big 481 adjustments where the taxpayer puts a nice deduction on his or her or its return. For example, stuff like late partial dispositions as discussed here. Steve, I just downloaded your book. It’s a great resource. Just to provide some clarification, for the Small Taxpayer Safe Harbor for Eligible Building Property, is each building a “separate” building unit of property? In my case, we have a rental community consisting of about 20 buildings, 209 units in total. I think you break each of your 20 buildings into the “building” and then the various “structural components”. You might find this post helpful. Hello – any thoughts on Rev Proc 2015-20? Yes, I shared most of them here: Rev Proc 2015-20 a face punch for tax accountants. I own shopping centers and my CPA is saying that we have to do this to save money for our investors but we’re 19 days away from tax day and we haven’t even started! I really don’t want to tell our investors that their k-1’s are going to be delayed. Does anyone know of a firm offering “preparation” services so that they can undertake the review of our prior year property expenses and drafting of any backup reports needed? Thanks! I think your CPA is right. Sorry. I have a client that replaced a septic system. Does this qualify as a partial asset disposition? I would think so… is there any reason you think it would not? How do you show the 481(a) adjustment on financial statement? Balance sheet or profit and loss statement? Example with positive 481(a) adjustment – client will pick up in one year as it is minor amount. I’m not sure you would show a 481 adjustment on GAAP financial statements. It’s really a tax issue. Your article on the final IRC §263(a) Tangible Property Regulations was extremely helpful and well done…a big help in understanding the new Repair and Capitalization regulations. One thing owners of apartment buildings are unclear about is the tax treatment of things such as carpet replacement, and kitchen cabinet/counter-top replacement. In fact, 20 minutes of Google research (always dangerous) shows that there is a lot of disagreement amongst tax practitioners on this matter. A landlord has a 10-unit apartment building and in 2014 a long-term tenant vacated his unit. To get the unit back on the market the landlord installed badly needed new carpet and replaced old and tired kitchen cabinets. Your article says they fall under the “routine maintenance safe harbor” and can be expensed because the owner of the apartment building expects to replace carpet more than once every 10 years. Do you have any thoughts as to what these others are saying the rules are? And what might be the rules pertaining to the new kitchen cabinets? I suspect you are SUPER busy now but if you have a free minute I’d be very grateful if you could shed some light on this confusion. But I think that stuff like carpet is definitely routine maintenance in most situations. BTW, my landlord (for my CPA firm offices) replaces the carpet and slaps off free coat of paint every time they turn the space… so that’s every few years. And surely routine maintenance. I have new client who has rental property. They bought it in 1999. Tax Preparer completed depreciation from 1999-2002. Then the clients moved and obtained another tax preparer who messed up 2003 depreciation and didn’t depreciate 2004-2013. I know form 3115 is needed. Do you have an example in your Ebook for issues like this? I have never completed form 3115 so this is a learning experience for me. Hi Marilyn, what you’re asking about isn’t covered in the ebook. Sorry. Partnership is filing its initial return for 2014. It purchased a rental property on 9/30/14 and operates that rental. The partnership has no other activity. Must the partnership file Form 3115, since there is no accounting change (it was formed after the new regs took effect)? If not, how does this partnership adopt a unit of property? You don’t have to file a 3115 in your situation because there’s not anyway you’ve “changed” your accounting methods… You’re only doing your first year. 1. When we file 3115 making the 4 changes, do we need to file a 3115 each year repeating the 4 changes? 2. If we are over the $10 million mark, and have already filed the return without form 3115, and we now file 3115 with Ogden, do we now need to amend the tax return just to include 3115? 3. If we scrub and have a 481 adjustment, is the 3115 code 196 or 205? But a couple of comments: First, you file a 3115 when you request permission to make an accounting method change… so once you’ve made that request and changed the method, you don’t need to keep making request and make change again… Hopefully that makes sense. Second, if you were required to file 3115 for tangible property regulations changes but you didn’t, the situation seems to me to be more complicated. I think you may fall outside of the automatic consent “route” to getting this done. You’ll need to determine whether you failed to file a 3115 when you should have and then look at the procedure when you lose the easy, automatic consent way to deal with this. When considering filing 3115 for individual rental property on Schedule E, and the depreciation shows only building original cost at acquisition and land, no improvements or other additions, is the 3115 still suggested? What would be the exposure and downside of not filing for this client? Can you provide guidance regarding reporting TPR changes on GAAP financials? For example, #7 depreciation changes, report as part of depreciation with no reference to 481a adjustment (since 481a is a tax adjustment)? I cannot find clear answer on this. The sample “Proposed Method” presented in narrative near the top of this page refers to safe harbors three (3) times in describing new accounting policies. I have seen elsewhere that these safe harbors are actually annual elections, not accounting policies. If these are in fact annual elections, is this the correct place to state them as policies? By doing so it would seem that we have now made what are intended to be annual decisions into formal policies, such that to NOT make the election in a given year where eligible would be a change in policy requiring a 3115 in the year the election is not made. Can you clarify if these are in fact annual elections and, if so, should we perhaps approach this wording differently? I suppose if you assume that the elections would be utilized every year possible this is no issue, but the question still remains if this is the appropriate place to cite these elections. supplies (187) – we probably mostly comply already but will file to indicate that we will follow new regs regardless. Postings to date indicate that I will only find help with Repairs/Capitalization in the book. Have there been any additions that will give an example of a 3115 and attached narrative of changes for Supplies or UOP changes? I need to amend my prior comments. I only identified 2 issues in the example, not 3 elections as I stated. I concur that the safe harbor routine maintenance is a change in method; the IRS FAQ states that. However, the Small Taxpayer Safe Harbor is an annual election; the IRS FAQ states that and specifically says to not use 3115 for this. Please accept my apology for the error. I notice in your article reference to “code 184” change. Are you referring to the “List of Automatic Accounting Method Changes”. If so, all of the filing instructions that I can locate for the form 3115 only list 180 automatic changes. Am I reading this incorrectly? Are there updated 3115 instructions? By the way, this article has helped me more than the other readings I have done and 2 seminars that I attended. Thank you! Thanks Karen for kind words. As far as accounting method changes, I think some of the lists one sees aren’t updated for the TPRs… which is kind of ironic. You can get the new codes in Rev. Proc. 2014-16 among other places. Been reading your blog long enough to know you doubt necessity of de minimis safe harbor from Rev Proc 2015-20. I get from where your coming. None the less, we farm. We filed March 1, 2017 for 2016 return – as to not be required to prepay estimated taxes. Hurrying to file, left off from tax return the printed de minimus election, which meets written policy. Question on necessity not withstanding, in your opinion, could the election still be submitted someway that would not cause more risk than benefit? Know of no one whom has researched TPR as much as you – so thanks for sharing.